Congratulations to former Minutemen Dean Stork and Will Ortiz who were part of the ECHL championship run for the Cincinnati Cyclones, the former as an assistant coach and the latter as a rookie player. The championship is the 2nd for the Cyclones in the last three years with Stork being a part of both. Amazingly with the seven game series in the playoff semifinals Storker, who had an extensive minor league playing career, has now been part of 8 of the 21 Game 7’s in ECHL history. The Cyclones came back from being down 0-3 to the Reading Royals to move onto the finals against the Idaho Steelheads. Ortiz joined Cincinnati following his UMass season. He played in about half of Cincy’s playoff games and recorded an assist in Game 3 of the championship series. All in all he had a goal and 5 assists in 12 playoff games. His lone goal was the game winner to force Game 7 in the semis. You can see some pictures of Stork and Ortiz enjoying the victory on the Cyclones Facebook page. It’s great to see both of them succeeding. I also am glad to see former UMass players begin to make strides in the coaching profession, which can only help the program in the long run. Hopefully assisting on two championships in the last three years will likely mean Stork will be moving on to greater opportunities in the coaching world. He was a great captain when he was on campus, it doesn’t surprise me to see him doing so well behind the bench as well. 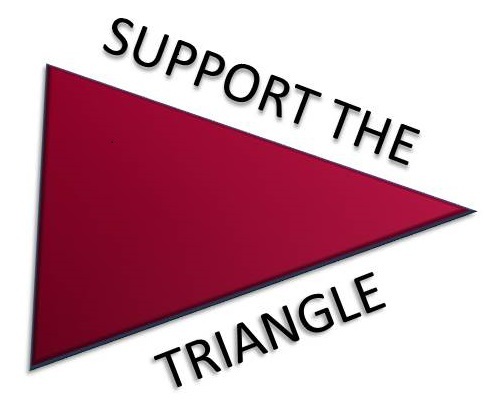 Though it’s the offseason, remember to keep checking Fear The Triangle as I’ll be updating the site with any organizational or recruiting news as it becomes available. Something tells me we’re not done on either front. In the meantime, there are only a few weeks left to register for this year’s Pond Club Golf Tournament. FTT has learned that UMass has picked up a commitment from Pat Kiley, who played with fellow recruit Peter DeAngelo on the NH Junior Monarchs this past season. Kiley had 14 goals and 38 assists in 44 games, good for the 5th leading scorer on the EJHL championship squad. Kiley originally committed to DIII Utica over the winter but has apparently changed his mind. Recruit Shane Walsh was picked in the 5th round of the USHL Draft this week by the Tri-City Storm. Assuming he does so, this should be a great opportunity for him to play with some of the best hockey players his age before coming to Amherst in 2011. John Parker, who has played the last two years in the USHL for the Indiana Ice, was picked by the Muskegon Lumberjacks in the expansion draft, meaning he’ll likely be spending one more year in juniors. Wisconsin has released their official schedule confirming that the Minutemen (and hopefully yours truly) will be spending New Year’s in the Land of Cheese. UMass has only played the Badgers twice before, dropping both games in Madison to start the 2000-2001 season. USCHO covers some of the potential rule changes that may be made this offseason. I really hope they don’t decide to adopt a shootout to decide ties. I realize ties aren’t the most satisfying of outcomes, but I don’t like the outcome of 60+ minute games essentially determined by what’s basically a skills competition. I do realize that I’m in the minority when it comes to that however. Most of the other potential changes seem completely unnecessary. Not allow shorthanded teams to ice? Ban sliding on the ice to block shots? Hell, that’s old time hockey right there. Let’s not mess with it. This blog post mentions Mike Pereira and the types of activities he’ll be doing at next week’s NHL Draft Combine. Well, we’re pretty much in a news blackout time period for UMass hockey currently, which is probably a good thing since the news coming from other parts of Hockey East involve BC players playing chicken with the Green Line or BU kicking players off the team for things that happened during the playoffs (yet strangely they didn’t feel the need to discipline them back then, hmmm). I’ll likely be taking some early looks at next year’s team and the conference sometime in the future but it likely won’t happen until after the Bruins’ season is over. So hopefully not for a while. One piece of news I did want to pass along though were the details of this year’s Pond Club Golf Tournament which will take place Monday, June 14th at The Orchards in South Hadley. More information on the tourney and how to sign-up can be found here. Now I admit, I hate golf. If there’s no windmill involved, I’m not playing. But I also know I’m in the minority in that respect and plus this is another way to help the hockey team while have a lot of fun and getting together with other UMass hockey fans at the same time. Plus from everything I’ve heard The Orchards is a top notch course. While I won’t be playing, I do hope to get out there to enjoy the festivities in some way. One other piece of news I want to pass along was that Martin Nolet was named the UMass Male Scholar Athlete of the Year. Sometime it’s easy to forget that the whole reason these guys are on campus are to get an education so I’m happy to make sure to mention such an honor for Marty. Finally, I try to keep this space free of current event/political topics (even though I’m incredibly opinionated on both), but I did think it was worth passing along this editorial from the Globe on the importance of public higher education in the commonwealth. Year after year Massachusetts continues to be at or near the bottom of the list of states in terms of support of higher education. Make sure to relay to you local representatives that this simply is unacceptable and only hurts the state in the long run.